We at Sand Cherry want to thank so many people for their hard work in make us one of the Colorado Companies to Watch in 2016. 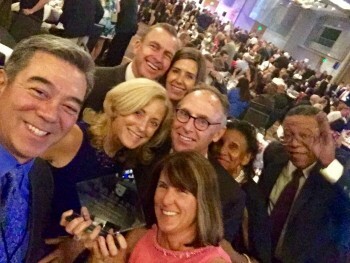 Colorado Companies to Watch (CCTW), a unique awards program honoring local second-stage companies, celebrated fifty 2016 Winners on Friday, June 17, 2016 at the Hyatt Regency Denver at Colorado Convention Center. Now in its eighth year, the Colorado Companies to Watch awards program works to recognizes often overlooked second-stage companies (those that are neither start-ups nor large corporations) for the critical role they play in our local economy and entrepreneurial communities. “We are proud to honor and support those who are truly making a difference in our communities,” said Sean Nohavec, CCTW Chairman of the Board and Senior Vice President, Platinum Sponsor UMB Bank. “CCTW and our allies are here as champions for the now 400-strong Alumni as they continue to grow and strengthen.” Chosen from over 1,000 nominations, winning companies represent a broad range of industries and are recognized for their success and potential for growth, community involvement, philanthropy and corporate culture. Sand Cherry was selected as one of 50 winners, from over 1,000 nominations of other Colorado companies. We are so proud to share this award with many other great companies. For a complete list of winners and to read more about the award, visit the CCTW website here.